Reports of Okinawa’s tourism surpassing that of Hawaii’s for the year 2017 had become a trending topic. However, The Hawaii Tourism Authority revised the total number of visitors it received up to 9,404,346, consequently overtaking Okinawa’s visitor count of 9,396,200. 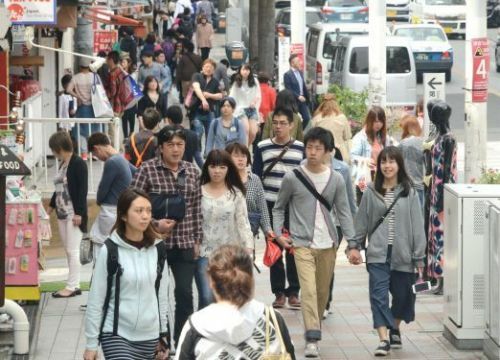 The HTA released a tentative figure of 9,382,986 in February, seemingly falling behind Okinawa by 13,214 visitors. In reality, Hawaii had welcomed 21,000 more visitors during the year than initially reported, exceeding Okinawa’s figures by 8,146. The prefecture’s dreams of outperforming Hawaii in tourism remains elusive. In Okinawa, the total number of tourists received is reported by fiscal year as well as the January to December calendar year. Number of visitors for the 2017 calendar year was announced in January of this year. On the other hand, the HTA says it releases a tentative figure in January or February the following year, announcing its official count in the fall. Although the 2017 figures released on Feb. 1 were not yet finalized, Japanese media outlets including the Ryukyu Shimpo reported Okinawa’s tourism as having exceeded Hawaii’s, placing a spotlight on the story. The HTA responded to our request for comment, stating that these figures are revised every year. “An accurate head count is not always reported when flights are delayed or cancelled,” and the tentative numbers are therefore subject to change. Given the earlier reports, Okinawa had been promoting its tourism as having surpassed Hawaii. Marketing schemes will continue to brand the prefecture as on par with the popular resort destination. Nevertheless, the prefecture’s growth rate in tourism between 2016 and 2017 was 9.1 percent, compared to that of Hawaii’s at 5.3 percent. Since tourism in Okinawa continued to trend upwards in 2018, it remains to be seen whether 2018 will finally be the year Okinawa surpasses Hawaii.